Anyone who has sailed a Laser will tell you that it is first and always a nimble sportboat—responsive, sized right, intuitive, thrilling to sail on a reach and the magnet at the center of a modern social network. Laser fleets are usually age, ability and gender agnostic, and Laser sailors are generally welcoming and helpful to each other. But legal battles regarding the license to build the Laser may kill this masterpiece of sailing couture and culture. So thousands of Laser sailors are wondering about their investment. They have a lot to be worried about. Here’s an idea. Go Open Source. Read more in the September 2013 issue of Sailing Magazine. The primary appeal of a laser is it ISNT open source, and that you compete with the exact same equipment as the world champions compete with. The comparatively low cost of a new boat, the fact that it will never become obsolete or superseded by technology and the fact it’s an Olympic class, but can be sailed by novices has enabled many developing nations to form competitive sailing programs. An “open source” laser as we currently know it would require expensive equipment to build (moulds, fibreglass chopper gun) and lead to increased prices, as manufactures redesign the manufacturing process of the boat for better weight distribution and stiffness as has happened with the optimists simple design. It’s a shame about the laser’s legal battles, but it’s also a shame that the designer of the boat isn’t being recognized by the manufactures and that the class association has removed his name from the boat. I agree completely with you on what was. The “open source: proposal is offered as a prescription for something new that could be. It might be different, but it might also be much better than the direction we’re head now. The idea, however, that increased supply would lead to higher pricing, seems counter to my basic economic understanding. I’d like to learn more about your thinking on those lines. 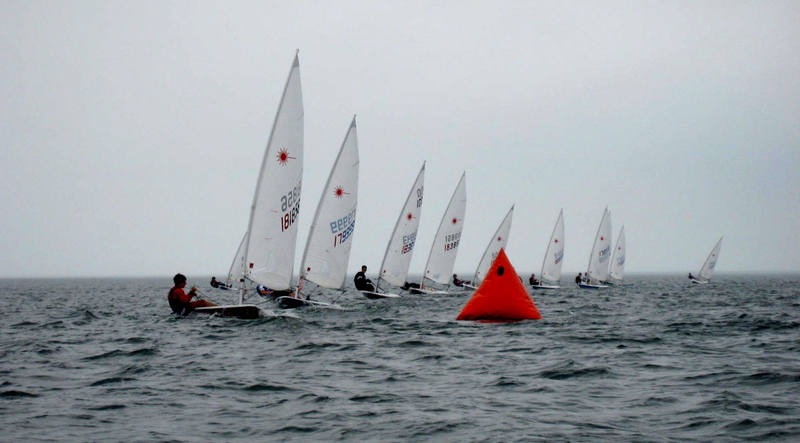 You are currently reading Imagine: Open Source Laser Sailing at Saving Sailing.